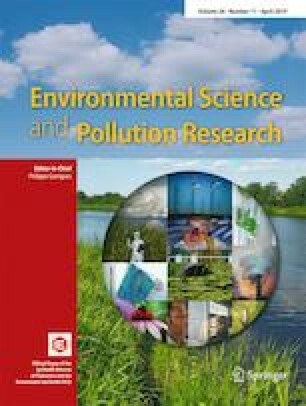 A comprehensive study was carried out to evaluate the occurrence, significance of concentrations and spatial distribution of heavy metals (Cr, Cd, Ni, Cu, Pb, Hg, Zn and As) in sediments along the Valencia coastline (Spain). The sampling campaign covered 476 km of the coastline in a 4-year period. The highest concentrations of metals in the sediments were mainly Cr, Ni, Zn and Cd (up to 28.93 mg Cr kg−1 dw, 15.80 mg Ni kg−1 dw, 57.13 mg Zn kg−1 dw and 0.293 mg Cd kg−1 dw), obtained in the northern areas, some central areas and in an isolated area on the southern coastline. The Sediment Quality Guidelines applied reveal that for all metals studied, none of them reached, or exceed, the “effects of median range” or the “probable effect level”. The pollution index reveals that 75% of the stretch coastline has a low priority risk level and the rest “medium-low priority risk level”. And, lastly, Potential Ecological Risk Index shows that all but one zone have low ecological risk. This research work has been supported by the Generalitat Valenciana as part of the studies involved in the Water Framework Directive.